Swiffer floor cleaning disposables are certainly convenient, but their ecological and monetary price is prohibitive. Who needs to spend big bucks on flimsy, landfill bound wipes that spread chemicals all over the floor where kids and pets play? No thank you! Here are three reusable eco-friendly alternatives. If you like Swiffer Sweeper Wet, try a Microfiber Cloth Mop! I love my E-Cloth microfiber mop, but lots of companies are making microfiber mops these days. I've seen various microfiber cloth mops everywhere: Amazon, Duane Reade, Bed Bath & Beyond, and Whole Foods! To use, fill a spray bottle or dishwashing liquid bottle with diluted floor cleaning solution of your choice. (I love Dr. Bronner's Sal Suds!) Work your way across the room section by section, spraying or squirting the floor before wiping the floor with the pad. Another way to use a microfiber mop is to dilute a small amount of floor cleaning solution in a bucket. (You really don't need to make more than two cups worth of diluted cleaner to clean an entire apartment, so this a great way to save water!) Submerge the cloth mop pad into the solution, then squeeze out the excess liquid before attaching it to the mop. Wipe floor as usual. When the pad gets too dirty, you can either rinse the pad in a sink or tub or just switch to a clean pad. Toss dirty pads into a laundry load with the rest of your cleaning cloths. If you like Swiffer Sweeper Dry, just attach a microfiber dusting pad to your mop. Fluffy dusting pads pick up dust and hair just as well as Swiffer Dry. If they get really dirty, take them outdoors or stick them out a window to shake off excess dust before tossing them in the wash with other cleaning cloths. 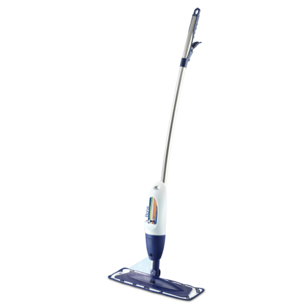 If you like Swiffer Wet Jet Power Mop, try Bona Floor Mop. 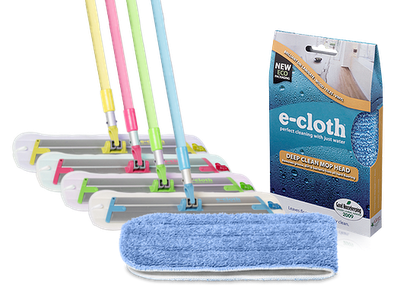 The popular Bona Mop System features a refillable cartridge that releases their special eco-friendly cleaner onto the floor and features a machine-washable, high-quality microfiber pad. They've got two distinct floor formulas: Hardwood cleaner and Stone, Tile, & Laminate floor cleaner. I'm not a huge fan of Bona hardwood floor cleaner, but it is safe and lots of people I respect love it. Maybe you would too. If you don't like it, you could put your preferred cleaner into the refillable cartridge once it's empty. These are definitely better options than the Swiffer, but an even better option is the Norwex Mop System. It works amazing, can be used for cleaning windows and walls too AND it lasts for YEARS and you only use water! Thanks Beth. I haven't tried it but I've heard great things! Not an alternative to wash clothes because waste of water and wash chemicals. As far as cost - I do laundry once every two weeks as a single older male and clean my floors more than that. So would have to do laundry just for the cleaning heads. Thanks for chiming in. Interesting perspective. If the way you're doing things now works for you keep at it Gary. I have a few different microfiber mop heads so I just toss them in the wash with the many cleaning rags I also use. I also do my laundry and my guy's laundry about every other week. That works for us. As someone with severe allergies, I can't tolerate Swiffer. Whatever chemicals are in that stuff set off my allergies. 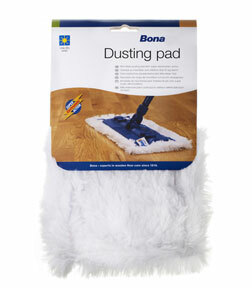 I will try the Bona Mop System hoping I fare better with it. Thank you so much for this list! I've been looking for ways to make everything I do more "green". This article was fantastic!